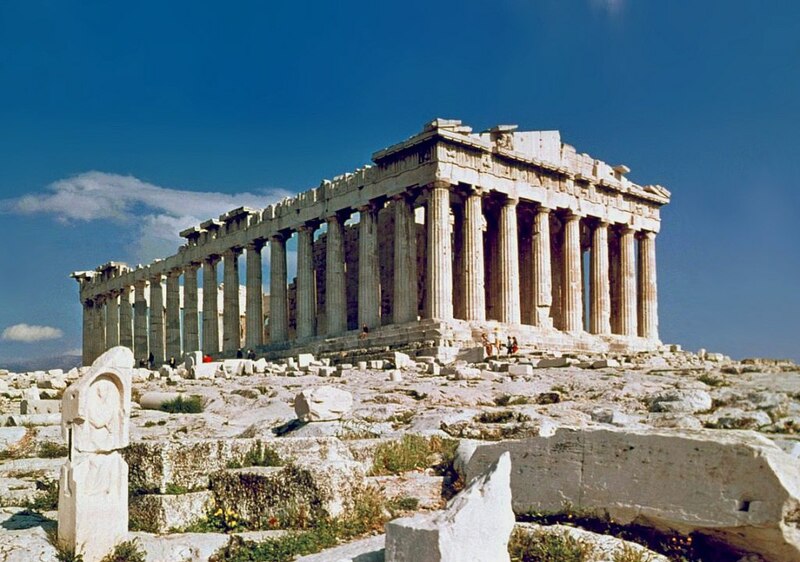 Greece has a rich, documented history that goes back for over 4,000 years. The ancestors of Hellenes were explorers who travelled the Seas, both the Mediterranean and the Black Sea – covering many distances in search of new people to trade with. The Greeks settled from the Mediterranean, Asia Minor, and along the coast of North Africa during their travels. The people of Greece have always had a strong desire for independence, and enjoy their freedom enough to fight for it over the years. Alexander the Great is perhaps the most well known Greek, conquering most of the known world during the 4th century BC, with a plan to Hellenize it. In 146 BC, Greece was defeated by the Romans, and in 330 AD, Emperor Constantine founded the Eastern Roman Empire. By 1828, the Greeks in a small area of the country had won back their independence, and they continued to fight for the rest of their land. After World War II, many of the islands were returned to Greece, independence, and freedom. The country of Greece is a peninsular and mountainous land, geographically located in Southern Europe, and characterized by more than 1400 beautiful islands. The Greece islandsattract people from all over the world to spend their vacations and holidays, and since the weather in Greece year round is full of sunshine and mild temperatures, you’ll be sure to experience the beautiful nature of Greece. With over 13,676 km of white sandy beach coastlines, and crystal clear, sparkling waters, every beach lover is sure to enjoy a trip to Greece! Greece is situated along the Mediterranean, comfortably located between Albania, Bulgaria, Turkey and the Former Yugoslav Republic of Macedonia. Greece is surrounded by the Aegean and Ionian Sea. Some of the most visited islands include Santorini, Mykonos, Naxos, Paros, Corfu, Lefkada and Alonissos. There are hundreds of Islands, all owned by Greece but many unpopulated. The islands that are used by tourists come in many different characters and flavours catering from young peoples holidays, through family and young children to older and retired people, choose your island well, it will be the choice between one persons nightmare vs. another’s paradise!. Next time you visit Greece, take time to study the Greek food in the shops and restaurants. You might find there are many of the local food you have never heard of. Spend longer look at the menu and ask the locals what they eat, a great way to discover new food. As well as tourist food, they also have many delicious recipes worth sampling. Even the famous Greek Salad is different in many areas of Greece and is often eaten every day. Many believe that wine was invented in Greece, its well worth sampling many of the local brews, if the thinking is true, they have more experience than anyone else in the world!